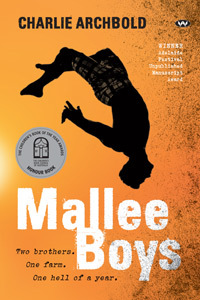 Mallee Boys is a coming-of-age tale involving two young brothers, a widower father and a small cast of supporting characters. The setting is the Mallee, a north/western agricultural section of Victoria. Apart from two small cities, the area is dotted with hundreds of farming related towns and communities all set in a perpetual struggle with Australia’s version of a harsh environment. Archbold’s book takes the reader inside this Aussie battlers stamping ground and shares the experiences of staying alive within its dry and dusty boundaries. Fancy a swim in a muddy river? In Mallee, you’ll need to beware of the current delivering dead bloated cows that can knock you under. How refreshing! Now you get the picture? Then there is the school, a nightmare for the eldest brother and a sanctuary for the younger. Top this all off with a recently departed mother, together with one son’s associated guilt trip and Archbold’s story quickly comes to life. As an elderly male who has witnessed a wide assortment of masculine transformations, I can detect one major missing element. That is of the constant hormonal interferences testosterone inflicts day and night within every male adolescent’s brain. For authenticity this should be a crucial factor, but for a book of this particular calibre, and with an anticipated and selective audience, then perhaps not. 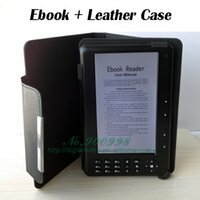 The layout of the book uses an alternating overlap method of depicting each brother’s experiences and the reader easily acclimatises to this pattern. Before long you are drawn right into the surroundings and share in the understandings of three males who are set adrift without a matriarch to steer their lives. What will become of their fates? Will this all end up in a tragic mess? Can this older brother somehow pull his life together? Page after page prompts these ensuing questions in this friendly story well-tailored for a specific audience. Readers of all ages will enjoy this book, and Charlie Archbold has shown she possesses the talent to produce many more books to entertain her awaiting audience.